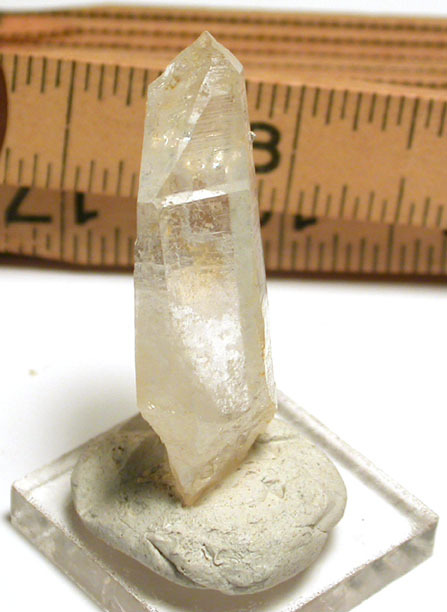 Sparkling clear light yellow, this rare golden healer crystal from the type locality of Collier Creek, Arkansas is perfectly sized and shaped for your next pendant piece. A slightly flattened channeling point with record keepers and a rainbow, 3/8x 5/8x 1-7/8" tall, it has an uncommon stepped main facet and self-healed areas to its' base and back side. 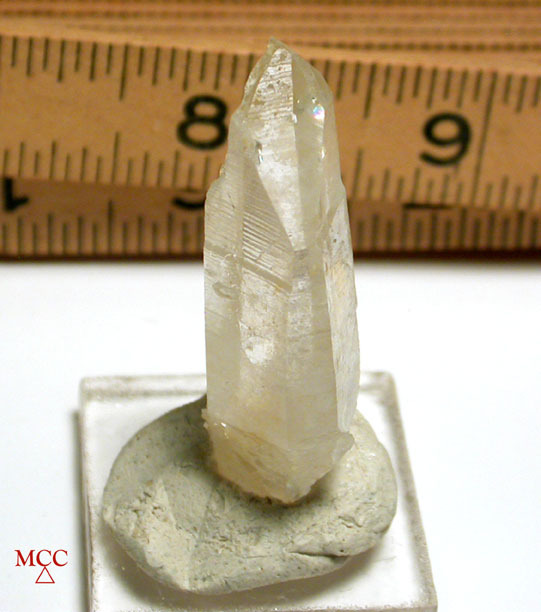 Its' fine coloring's due to iron inclusion and will not change or fade - great with brass findings, citrine beads, yellow jades and agates - or navy sodalite -or...we know you will instinctively make the right match! A honey with two non-detracting fleabites.